. . . this substantial disc of Dvorák, Ravel and Mahler songs with the Berlin Philharmonic is a major event . . . As rich as her voice has become in recent years, her main virtue is her linguistic intelligence . . . [Dvorak: "Biblical Songs"]: her conviction with the Czech text sustains the 10-song cycle . . . hyper-alert accompaniment . . . The disc's sound has the customary Berlin Philharmonic intensity . . . The orchestra is impeccable in diverse styles . . . Kozena's voice is deep, earthy . . . she is unflaggingly musical. In "Um Mitternacht," every verse marks a distinct stage in a riveting midnight experience. She brings a powerful, springwater-clear tone to her upper range as she sings of fighting for humanity . . . [Ravel: "Shéhérazade"]: her sultry rendition of "L'indifferent" shows an intriguing side of her. Dvorak's Biblical Songs are strongest, exuding, by turns, chant-appropriate modesty, mournfulness and authority. Kozena's smooth mezzo voice is perfect for a set of brooding, Slavic Biblical songs for voice and orchestra by Antonin Dvorák, and the three overtly sensual songs that make up Ravel's "Shéhérazade". She is at her best in Mahler's glorious "Rückert Lieder". The exquisite "Ich bin der Welt abhanden gekommen" is transcendent, its ending finessed perfectly, fading to a whisper under Sir Simon's direction.
. . . Kozená encapsules and conveys the spectrum of moods with a wealth of understanding and apt vocal inflection . . . Madgalena Kozená's affectionate, sensitive espousal of Dvorák's "Biblical Songs" lends the programme an added dimension of sympathetic soul-searching . . . on this new disc her ease and clarity of language are as impressive as her instinctive feel for the modes of expression voiced by such diverse composers as Dvorák, Ravel and Mahler. Add to that the natural sensitivity to idiom and the glorious sound of the Berlin Philharmonic under the baton of . . . Sir Simon Rattle, and you have one of those partnerships made in heaven . . . beautifully and subtly sung by Kozená with the colours of the orchestral accompaniment discreetly etched in . . . In the quite different realms of Ravel's "Shéhérazade," the Berlin Philharmonic's discreetly plush instrumental sonority and the warm qualities of Kozená's voice coalesce to create a sumptuous but lucid, luminous soundscape for Tristan Klingsor's mellifluous verse. The opening oboe melody of "Asie" is wonderfully seductive, the fragmentation of the orchestral parts after the singer's first entry sparkling with light. Rattle's way with the music's ebb and flow of dynamics and pace throughout the three songs is perfectly matched to Kozená's fluid and eloquently modulated singing. One is immediately aware here . . . that the character of her voice, her articulation and her interpretative temperament have been finely retuned after the Dvorák to become a natural outlet for Ravel. The same is true of the Mahler songs, artlessly and subtly dramatised by both orchestra and singer . . . the personality of her singing, her agility, her clear characterisation of a song such as "Blicke mir nicht in die Lieder" make the music spring to life. So, too, does the Berlin Philharmonic's playing, which is spirited in "Blicke mir nicht" but can switch to darker, reflective hues for "Um Mitternacht" and to a gentle undercurrent for Kozená's softly floated line in "Ich atmet' einen linden Duft". There is never any doubt, whether in Dvorák, Ravel or Mahler, that Kozená has these songs in her heart and has the wisdom and finesse with which to convey their very essence. Music of love and longing plays to mezzo-soprano Magdalena Kozená's strengths. Her core sound and delivery . . . works especially well with romantic music that speaks from the heart . . . [Dvorák: "Biblical Songs"]: she is at her best singing in her native language . . . [She communicates the feelings,] not with a surfeit of word painting or breathtaking changes of tonal color, but rather by shifts in volume and intensity. Pruning her interpretations of ego baggage, she makes the sentiments believable . . . Such an achievement would not be possible were her support not as exquisite as Rattle and the Berliners'. The conducting is eloquent, inspiring strings and woodwinds to sing with remarkably poetic fluidity . . . a satisfying whole . . . She allows the text to speak for itself . . .
Technically, the pieces are challenging, and expressively, they require a range of emotions. Wonder, want, concern, celebration. A mezzo can make it or break it trying. Czech soprano Magdalena Kozená makes it, and then some, on "Love and Longing" . . . She's versatile, confident and pretty amazing throughout. The whole collection is like that really. Kozená is not a trendy singer, she has the rich, full sound of one of those 20th century superstar sopranos. She's articulate and fluid and she draws you in. The recording is excellent, so is the orchestra, the Berliner Philharmoniker with Simon Rattle conducting. The Dvorák set that opens introduces Kozená's current talents and the Ravel that follows proves her stuff. It's a nice set up for the Mahler songs that close the record. Kozená has a good time with both the lyrical turns and the anthems. This is a complete and satisfying disc. Kozená sings with beauty and comprehensive expression in vastly different styles of music . . . Kozená, a Czech native, is a perfect proponent for Dvorak's rarely heard -- especially in these orchestrated versions -- songs with texts from the Book of Psalms . . . With all of her thoughtful care for color and language, Kozená must carry these songs close to her heart . . . [Ravel: "Shéhérazade"]: You can practically smell the incense and feel the heat of the night air . . . Kozená's languid phrasing is practically intoxicating . . . It's as if whispered through a silken veil. And when she gives the sound a little boost, then a sensual little vibrato, you're ready to follow her anywhere . . . Throughout the album, the amazing Berlin Philharmonic, with its agility and immense palette of colors, makes a perfect partner to Kozená's thorough engagement with the texts. The singing here is absolutely beautiful, and the partnership between singer and conductor could hardly be bettered. They are clearly on the same wavelength at all points. The recorded sound, too, is superb -- Kozená is always clearly audible, but never too far forward. The balances are natural; the overall sound is clear but warm . . . this is a self-recommending recording . . . I loved what I was hearing . . . Kozená's basic sound is creamy, but with a nice focus at its core, and the voice seems comfortable in all parts of its range . . . [a] unique combination of repertoire and superb vocalism . . .
Kozená revels in the composer's inexhaustible stream of melody, while Simon Rattle's Berliners relish his subtle orchestration . . . she is luminous in expressing the exoticism of Tristan Klingsor's "Shéhérazade" poems, and Rückert's celebration of the natural world. Throughout the "Rückert-Lieder" the diction is excellent, dramatic emphases are absolutely in place and there is, notably in "Um Mitternacht", some superb legato singing . . . Much the same is true of the Ravel where again there is much beauty . . . Dvorák's "Biblical Songs" are almost entirely excellent . . . Kozená projects the sincerity of these settings magnificently . . . these are lovely performances.
. . . Magdalena Kozená combines still-youthful beauty and evenness of tone with intensity of expression. "Liebst du um Schönheit" is surpassingly tender, with an exquisite floated pianissimo on the climactic "Liebe". Cushioned by the infinitely delicate playing of the Berlin Philharmonic under Simon Rattle, she exudes a rarefied, secretive bliss at the line "and rest in a tranquil realm" near the close of "Ich bin der Welt abhanden gekommen". In "Um Mitternacht", founded on a seamless "legato", she vividly dramatises the desolate self-questioning. She and Rattle are careful never to let the song become statuesque, and build to a glowing climax . . .
Magdalena Kozená combines still-youthful beauty and evenness of tone with intensity of expression. "Liebst du um Schönheit" is surpassingly tender, with an exquisite floated "pianissimo" on the climactic "Liebe". Cushioned by the infinitely delicate playing of the Berlin Philharmonic under Simon Rattle, she exudes a rarefied, secretive bliss at the line "and rest in a tranquil realm" near the close of "Ich bin der Welt abhanden gekommen". In "Um Mitternacht", founded on a seamless "legato", she vividly dramatises the desolate self-questioning. She and Rattle are careful never to let the song become statuesque, and build to a glowing climax, excited rather than grandiose . . . For vocal radiance and touching vulnerability I should plump, just, for Kozená . . .
. . . [die Aufnahme] überzeugt vor allen durch eines: absolutes Einvernehmen . 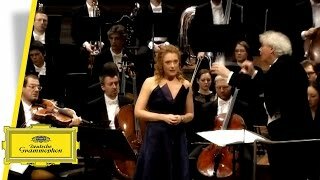 . . Magdalena Kozená und Simon Rattle musizieren nicht nur, sie atmen gemeinsam . . . Auch in Ravels musikalischer Liebesfantasie "Shéhérazade" gelingt das gemeinsame Ausloten . . . [Kozenás Timbre] öffnet Interpretationsraum für die Märchengeschöpfe und exotischen, auch erotischen Abenteuer, die der Komponist sich ausgemalt hat . . . Höchste Begeisterung verdient an dieser Aufnahme die herrliche Transparenz. Die Berliner Philharmoniker dürfen als Ensemble von Solisten agieren, zahllose elegante Lichter fallen auf selten so klar gehörte Akzente einzelner Stimmen.
. . . die Tschechin mit dem verführerisch weichen Mezzosopran und der charismatische Chef der Berliner Philharmoniker [sind ein Dreamteam] . . . Sinnlich und wohl ausbalanciert ist die Interpretation, geradezu ein Festival des schönen Klangs. Kozená und Rattle harmonieren perfekt.
. . . jederzeit überaus kultivierter Gesang . . . mit der größten Natürlichkeit entfaltet sich der Zauber von textorientierten Klanglandschaften . . . stimmliche Raffinesse . . .
Mahlers "Ich bin der Welt abhanden gekommen" gewinnt in dieser Aufnahme mit Sir Simon Rattle und den Berliner Philharmonikern eine völlig neue Dimension. Dieses Lied zählt in seiner magnetisierenden Aura zu den Höhepunkten . . . Magdalena Kozená singt Dvorák schlicht und innig, während sie bei Ravels "Shéhérazade" die feinen Silbertöne ihres Mezzos feurig knistern lässt. Vollendetes Zusammenspiel . . . großartige Momente. Magdalena Kozená findet mit ihrem mal dunkel, mal silbrig schimmernden Mezzo und dem unverwechselbaren Timbre für alle Zyklen den richtigen Ton. Bis in die letzte Silbe kostet die Tschechin die Innigkeit der Lieder ihres Landsmanns Dvorák aus. Rätselhaft, entrückt, leidenschaftlich und entflammt zugleich klingen die Mahler-Lieder . . . Sinnlich-verspielt blüht die Stimme in Ravels "Shéhérazade" auf. Präsentiert sich die vielseitige Sängerin in Bestform, so reißen die Berliner Philharmoniker unter Simon Rattle zu wahren Begeisterungsstürmen hin. Die Transparenz ist überwältigend, man meint nahezu jedes einzelne Instrument einzeln herauszuhören. Hier musiziert kein Orchester im üblichen Sinn, sondern eine Vereinigung hochkarätiger Solisten. Ein außergewöhnliches Hörerlebnis!
. . . sie singt wunderschön. Ihre satten Mezzofarben kommen hier besonders zur Geltung, der Vortrag ist warm und ebenmäßig . . . Diese Kompositionen sind Futter für ein Spitzenorchester wie die Berliner, die hier all ihr Raffinesse aufbieten . . .
. . . [Les "Rückert-Lieder" vont] naturellement au timbre [de Ko¿ená] . . . ce sont les "Chants bibliques" qui font le prix de ce disque: leur tessiture médiane, leurs inflexions intérieures qui regardent souvent vers le bas de la portée tombent naturellement dans cette voix . . . Pour l'expression fervente . . . pour l'énergie contenue, pour la couleur de cette langue maternelle qu'elle savoure avec tendresse ou panache, il faudra range ce disque à Dvořák.